One of the many requirements that come with getting a driver’s license is practice. As a parent or guardian, it’s important to make sure your teen has had plenty of practicing and has fine-tuned their skills. The DMV requires a teen have 50 hours of practice over a 6-month period and 10 of those hours must be at night. However, since this is hard to keep track of, the most people see this as a suggestion instead of a requirement. 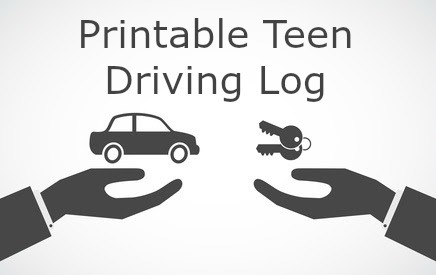 In order to make these hours easier to keep track of, as well as how to focus the practice time, we’ve created a printable teen driving log. 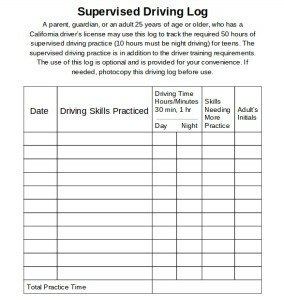 The Driver’s Log will help parents/guardians keep track of what was practiced, when it was practiced, how long practice ran for and what needs improving. By using the log, both parents and teens can rest assured knowing that the necessary skills have been practiced creating a safe driver. In order to print the Driver’s Log, simply click on the image below and you will be able to print the log straight from Google Docs. Combine this with the printable contract and you’ll be the best-prepared parent in town. 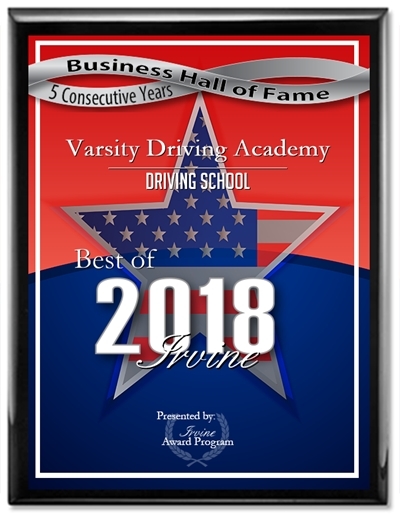 It’s an important step for parents to drive with their teens and teach the art of driving. 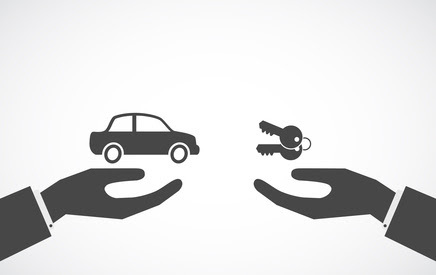 Continue to find strengths and weaknesses; even after they’ve received their license. Use the logs to keep track of all driving time and set goals.